If you’re a manager or business owner, you know good business starts with good people, you also know that good people are hard to find! We are hosting a Job Fair on Tuesday, March 12th from 10am-2pm at Union Station! To find out how your company can participate or for any recruitment needs, please contact Jared Robb at 913-514-3016 or Jared.Robb@cumulus.com. Change your life….change your career! 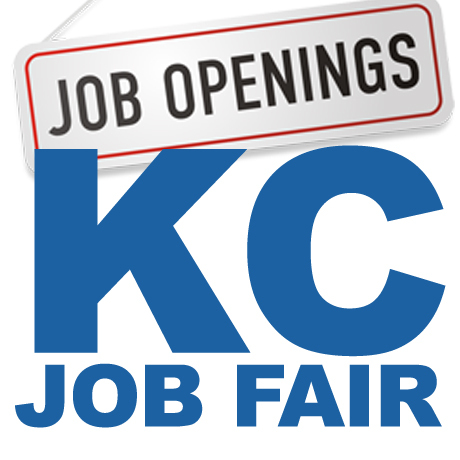 The AREA’S MOST sought after employers will be on site accepting “in person” applications. Brought to you by MidAmerica Nazarene University’s School of Professional & Graduate Studies! Dress to impress! Your first impression is critical when job seeking. Men should wear their best suit with a tie, and matching dress shoes. Women should wear their best jacket with matching skirt or pants and shoes. Admittance may be denied to anyone wearing shorts, jeans, flip flops or other inappropriate attire. Bring plenty of copies of your resume printed on quality paper. Even if you do not bring a resume, be certain to have a portfolio or briefcase with notebook or legal pad and pens.